Bonus: Includes a FREE printed copy of the prequel comic book. Note: Pre-Order – Ships beginning of April. The kudzu covered hills of Charleston, Mississippi, notable as Morgan Freeman hometown, is ground zero for GloboBioTech testing of their experimental herbicide Quadoxin, which goes horribly wrong. 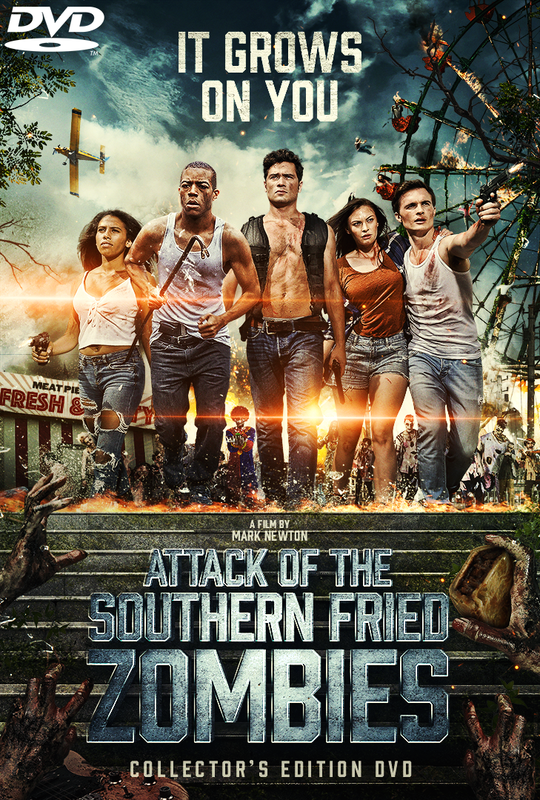 In the tradition of overly ambitious B movies and those classic drive-in late night horror flix from back in the day, Attack of the Southern Fried Zombies delivers featuring plant based zombies and excitingly fresh kills. Synopsis: Charleston, Mississippi, the hometown of actor Morgan Freeman and Blues pianist Mose Allison, has been chosen by a large agrochemical corporation – GloboBioTech – to test its new chemical, Quadoxin. The herbicide Quadoxin is intended to control the kudzu vine which is highly invasive and notoriously hard to kill. Native to Asia, kudzu was introduced into the United States as a fodder crop and for erosion control. Kudzu grows extremely fast in the southeastern US climate, spreading unchecked and destroying power lines, buildings, and native vegetation in its path. With the Mose Allison Music Festival going on, everyone is in downtown Charleston celebrating. Lonnie is helping his uncle and aunt, Ed and Nancy Nelson sell meat pies at the festival. The famous and popular meat pies are made with Creighton’s goats, which feed on the sprayed kudzu. 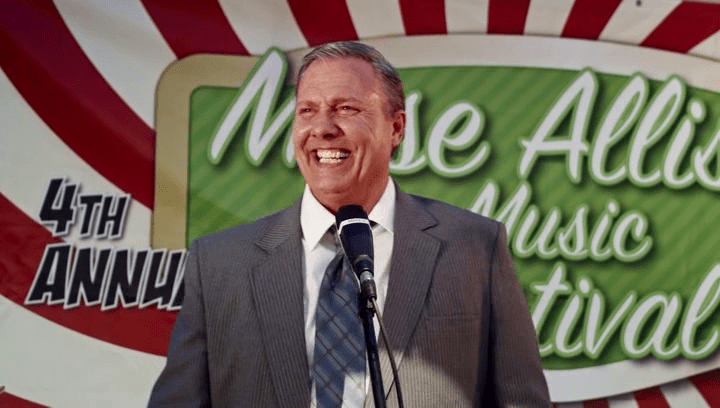 Once the Quadoxin enters the human food chain, Lonnie must lead a mismatched group of survivors to escape the effects of the chemical.